Middle school is difficult for any and all children; it is a time of great change, confusion, and maturation. Sixth grade was especially torturous for me, as that was the year that I was diagnosed with lipodystrophy—a medical condition that essentially robbed me of all my fat cells, leaving me to a frail physique. As difficult as middle school is, with social dynamics changing and certain body parts growing, dealing with a diagnosis such as mine just added to the social stress. Though I had been thin for several years of my life until that point, I finally knew why, and now knew that this curse was irreversible. I was skinny, weird, and in the sixth grade. As confused as I was about the changes occurring in middle school, I was also somewhat confused about my medical condition—what is a genetic mutation? Did my parents give it to me? Would it ever get better? Would my lack of fat affect my health otherwise? I do not recall meeting with a genetic counselor, but after discovering the field in ninth grade, because of a biology project, I knew how important meeting with a genetic counselor could be for someone like me, clearing as much confusion about genetics as possible. Not only do genetic counselors essentially act like Google Translate, defining all of the ludicrous genetics terms, but they also provide emotional support to those going through a diagnosis, or those receiving screening. I knew that it was my destiny to be a genetic counselor. Five and a half years later, I am a genetics major, psychology minor at Rutgers University working toward an undergraduate certificate in genetic counseling, and I have not changed course. graduate program, at Sarah Lawrence College, accepts 25-30 students. I knew before even entering college that I had to make myself an intriguing applicant to be accepted into one of these programs. In the middle of my freshman year of college, I began researching opportunities to boost my resume and personal experience. Not only did I want to look good on paper, but I wanted to involve myself as much as possible in any field related to genetic counseling, and let my love for it grow. That is where JScreen came in. While searching for an opportunity—any opportunity!—I happened upon JScreen’s page and hit myself over the head numerous times for not thinking of checking there first. 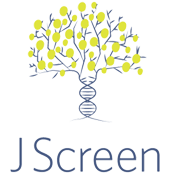 Though I had heard of JScreen, I knew little about them, and began to explore their website. It seemed like a blessing that they had opportunities to bring a genetic screening event to one’s university. I emailed saying I was interested, and a few months later, Rutgers University in New Brunswick had a genetic screening event that got 52 students screened. 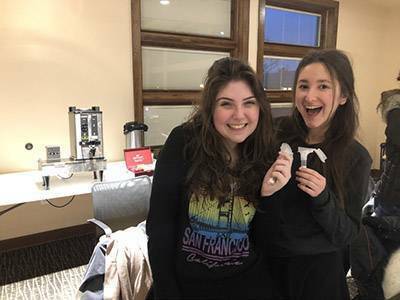 I personally knew many of the students who signed up for the screening, and for weeks before the event there had been a buzz throughout the community between those who were getting their kits on February 8. Everyone rolled in, between 4 and 7 pm, and laughed as they spit in the test tubes, comparing spit bubbles with their peers. 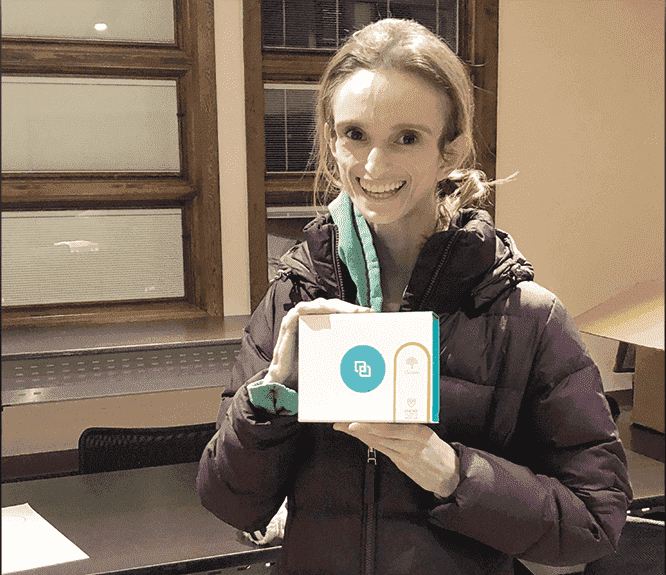 At this point of the process—gathering the DNA sample—it seems surreal that you will soon receive answers as to what your DNA holds. It is exciting, yet very nerve-racking; to know what diseases you may carry and could potentially pass on to your future children. The best way to ensure the healthiest family possible is to get screened and understand your genetic ‘destiny,’ for lack of a better word. Why wait until marriage to get screened if you can get it done now, cheap, in college? This was the outlook that many of my friends had as they signed up for the screening. Now, two weeks after the screening, students are starting to schedule phone meetings with genetic counselors through JScreen to get their results. The buzz is kicking back in, because planning for a future healthy family begins now. Dena is a 19-year old genetics major with a strong interest in and passion for genetic counseling. Diagnosed with generalized lipodystrophy at age 11, Dena has transformed herself into an advocate for positive body image and awareness of lipodystrophy. 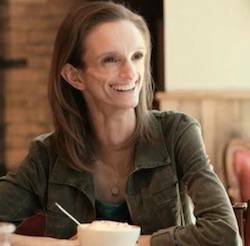 She published her blog, The Skinny Girl, two years ago, which has since reached over 50,000 views.